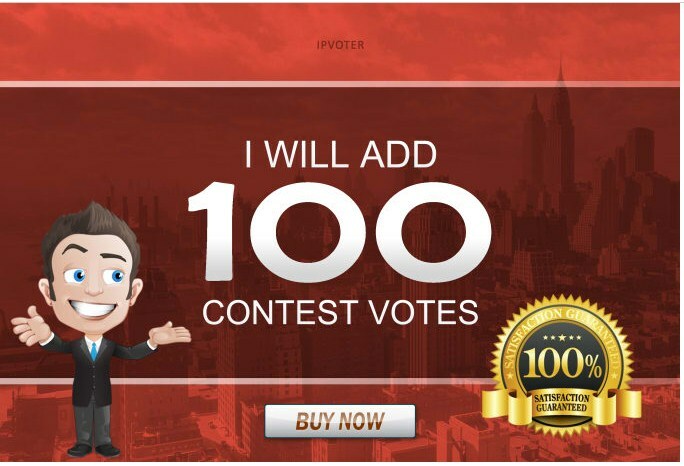 For just $5, i will give you 100 Votes from different ip addresses to any kind of contests. APP, IP, LIKES, PHOTO CONTEST, POLL, POLLDADDY, SURVERY, PHOTO LIKES, VIDEO ENTRY, PRODUCT RATING, WEBSITE PLUGIN, WEBSITE LIKE, SIGN UP, CAPTCHA, E-MAIL VERIFICATION, ONLINE COMPETITION, IP RESTRICTION, SOCIAL COMPETITION, ETC. Hurry Up & Order Now !! !